Bidders from more than 100 countries came to the Yoder & Frey Kissimmee 2018 Sale. Yoder & Frey is already starting to receive confirmations of inventory consignments to go under the hammer at the next Kissimmee winter equipment sale, which commences for a week from Feb. 12 to 16, 2019. 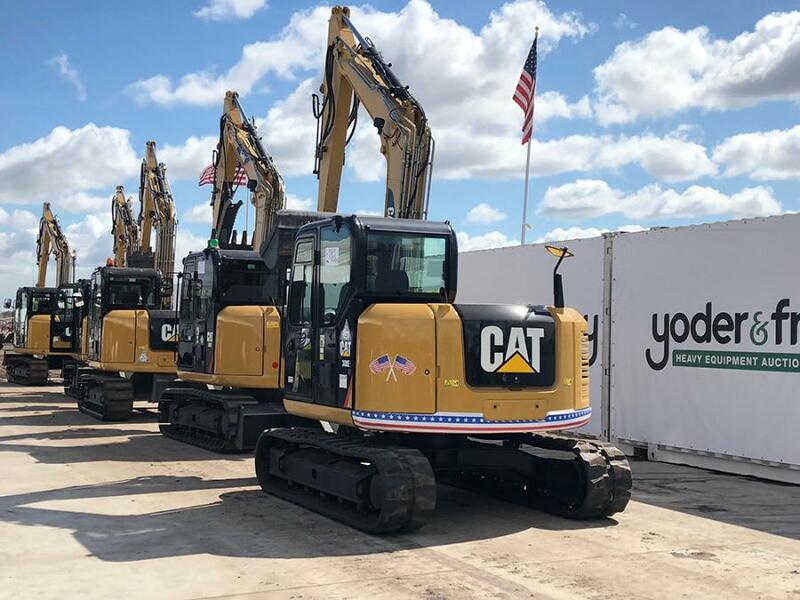 "We initiated the now famous Kissimmee Winter Consignment auction back in 1975 as a one day event that saw just $2.8m worth of equipment go under the hammer," said Peter Clark, president of Yoder & Frey. 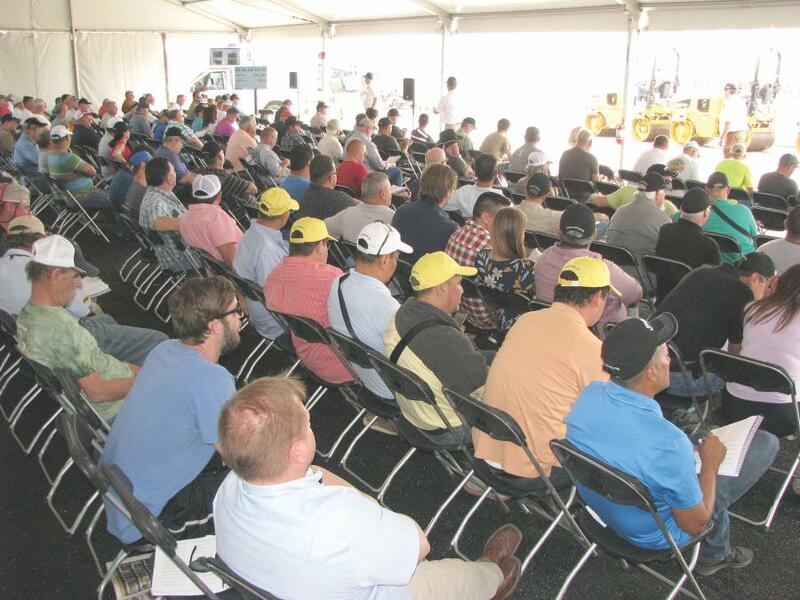 "Now in its 45th consecutive year, we are regarded as the 'elder statesmen' for this premier event that now spans several weeks and sees tens of thousands of pieces of quality heavy construction, mining and agricultural equipment, collectively worth hundreds of millions of dollars go under the hammer from a number of auctioneers. The Kissimmee event also attracts thousands of eager bidders, all looking to pick up exactly what they need for upcoming projects and at competitive prices and we continue to meet their needs." Founded in 1964, Yoder & Frey has continued to spearhead many innovative developments in the heavy equipment auction sector and in late 2016 the business merged with the UK-based Euro Auctions operation. This vastly extended its global reach and meant it gained access to an established network of consignors and a network of more than 150,000 buyers in more than 95 countries. This coming together also has resulted in significant benefits for bidders and consignors alike and has really enhanced the overall quality of service delivered, according to the company. For example, last year a number of changes were evident at its 2018 Florida auctions, the most significant of which was the introduction of ramp style auction. Here, all rolling stock lots are paraded past the bidders, who can now sit in a comfortable, specially constructed arena. Quite a radical change from the previous approach where auctioneers and the whole entourage move to each piece of equipment being auctioned, wherever it was positioned around the massive yard. This change also helped improve logistics as attendees could easily pick up their bidder numbers and immediately engage in the sale as the administrative offices were located immediately adjacent to the sale ramp, making it far easier for everyone. New loading ramps also were built, vastly simplifying the process of getting equipment in and out of the sales site for consignors and the trucking firms. Further improvements are planned for the 2019 auction including the move to a 100 percent absolute auction. The February 2018 auction saw a selling figure of 97 percent however 2019 will go one better and be completely unreserved. Yoder and Frey believe in treating buyers and sellers equally and the only way to do this is by running an absolute event, Clark said. Another key to the success of Yoder & Frey has been its straight forward and friendly service that enables customers to easily buy and sell equipment and machinery as its culture was founded on family values and it is still run today as a 'family' business. Yoder & Frey strives to know all its customers personally and takes immense pride in ensuring that they always receive the service they deserve and equipment that perfectly meets their needs, Clark said. "It is still too early to start to provide details on individual lots but Kissimmee 2019 is already shaping up to be bigger and better than last year. More consignors are showing interest in consigning significant lots and at a much earlier stage in the process," said Peter Clark. "We've had a tremendous 2018 so far with three auctions in Florida, four in Ohio and a number of offsite auctions including one in Tampa and a mining surplus auction coming up in Pennsylvania and several others in the pipeline. We also held our first online only auction selling Cat 777's, which was immensely successful exceeding all our expectations. If 2018 continues in the same vein, our 2019 auction has the making of the best auction in the history of the Kissimmee Winter event, which can only be good for both the bidders and consignors." For information and to pre-register for the upcoming Yoder & Frey Kissimmee or other auctions potential consignors and all bidders should visit www.yoderandfrey.com. Web visits also rocketed almost threefold (249 percent) in the weeks just prior to the sale with average dwell time on the website more than doubling to around 10 minutes per visit.